PaperSurfing connects strangers through texts. 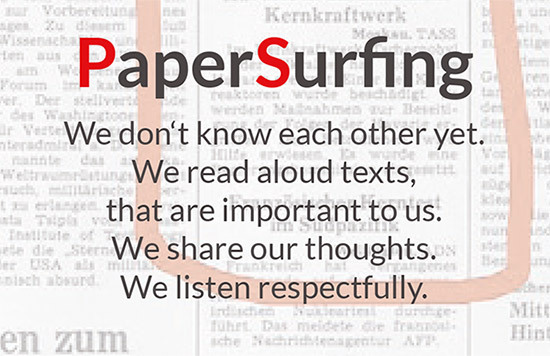 With PaperSurfing we talk to each other and not just about each other. 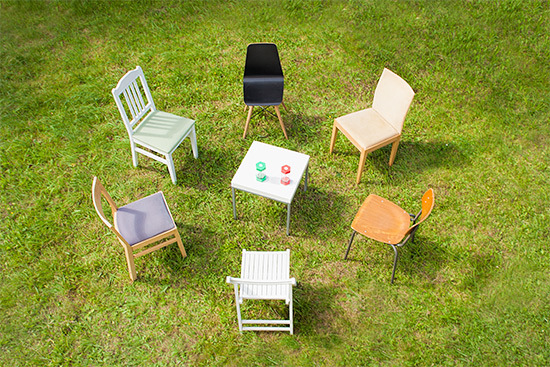 The conversation between 6 participants is moderated in such a way that everyone has their say and everyone is heard. 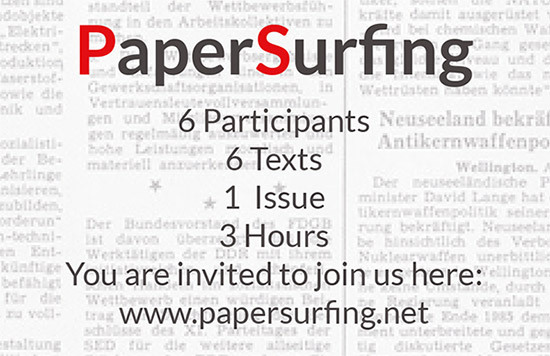 PaperSurfing events (surfs) are open to the public. The driving force behind PaperSurfing is curiosity and the interest to listen and interact with others. We have the confidence that respectful dialogues are important for a free and open society. Anyone can invite to a PaperSurfing event. All you need is a room, a topic and some materials that you can download here on papersurfing.net. Each participant brings a text and reads it aloud. The text is related to the topic, important to me, freely chosen, of any kind and up to 400 words long. After each reading aloud, the text is discussed about for a while. In between and during the break there is a snack to eat and drink, whatever the participants have brought along. A PaperSurf ends when the last text has been read out and has become part of the conversation.